The REXIOUS System is a posterior pedicle screw system indicated for the treatment of severe Spondylolisthesis (Grade 3 and 4) of the L5-S1 vertebra in a skeletally mature patient receiving fusion by autogenous bone graft having implants attached to the lumbar and sacral spine (L3 to sacrum) with removal of the implant after the attainment of a solid fusion. In addition, the REXIOUS System is intended to provide immobilization and stabilization spinal segments in a skeletally mature patient as an adjunct to fusion in the treatment of the following acute and chronic instabilities or deformities of the thoracic, lumbar and sacral spine: Degenerative spondylolisthesis with objective evidence of neurological impairment, fracture, dislocation, scoliosis, kyphosis, spinal tumor and failed previous fusion (pseudarthrosis). Modified Buttress Thread Type greatly reduces spreading forces during the final tightening of the set screw. 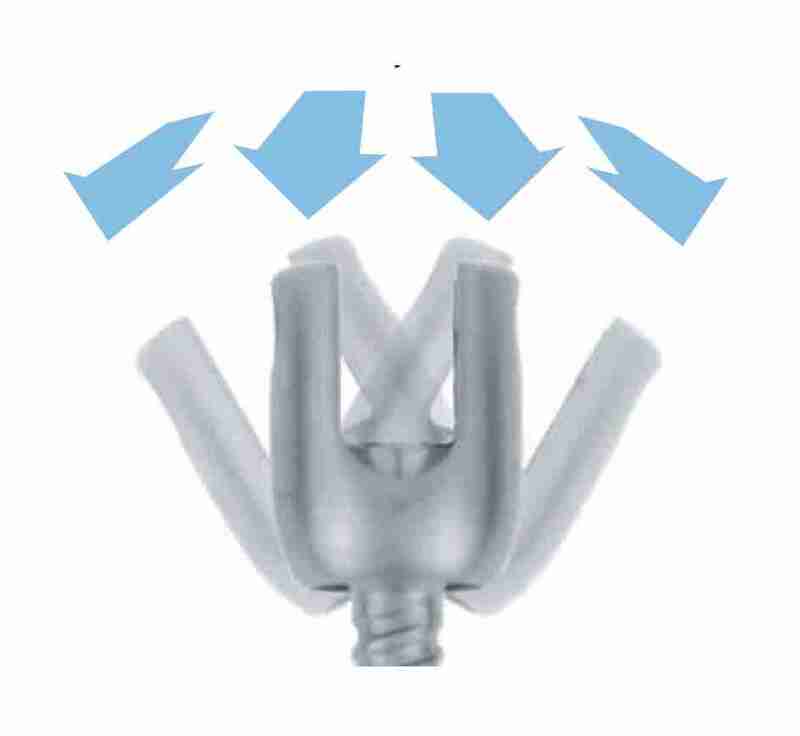 This unique shape reduces the diameter of the implant, making the REXIOUS implant design more desirable. 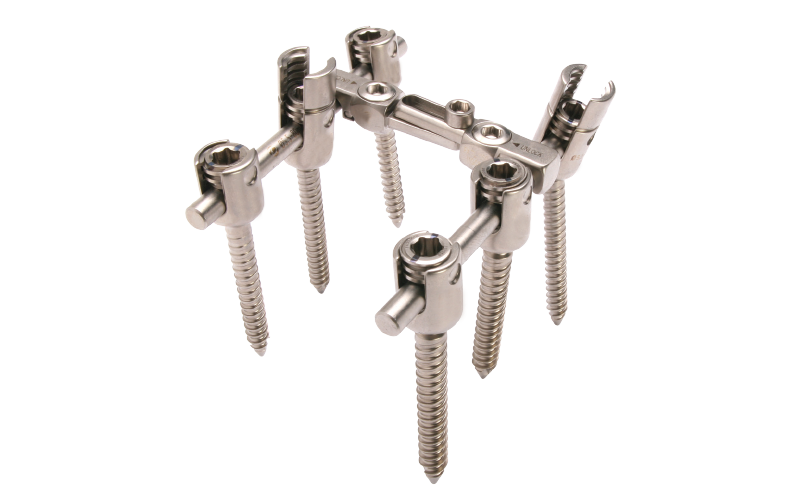 The REXIOUS SPINAL SYSTEM offers screws in various types, diameters and lengths. Allowing the surgeon to choose the appropriate construct rigidity, based on patient requirements and surgical indications. 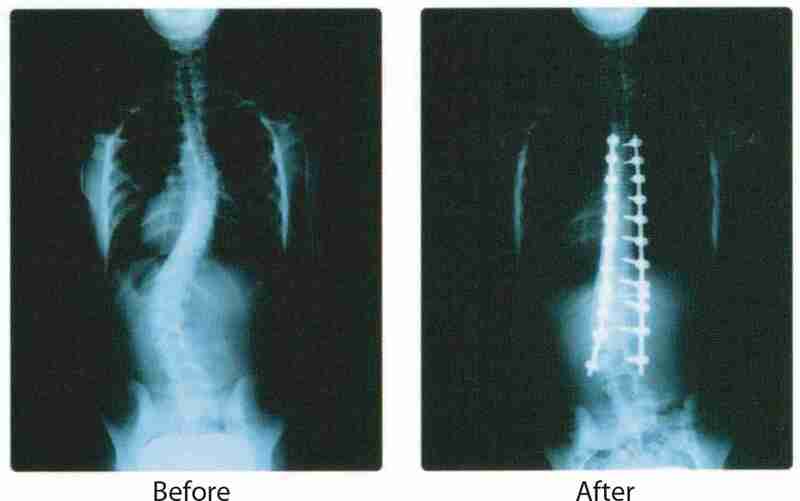 All components of the REXIOUS SPINAL SYSTEM are made of Titanium alloy, Ti6Al4V Eli which is the strongest at high stress and has excellent biocompatibility. The REXIOUS SPINAL SYSTEM offers rods in various lengths with a 5.5 mm diameter. With an average angle of variability of 50°, the screw head can be flexed to any desired position.The REXIOUS Polyaxial Screw utilises a double inner cap design. This allows the screw head to be Semi-fixed before final fixation. Correction and stabilisation of difficult anatomical variations, such as higher grades of spondylolisthesis and other deformities are facilitated by this system, and achieve controlled and gradual anatomical reduction of the deformity. The Reduction Screw Head is designed to receive the set screw easily and smoothly, designed with easy break away tabs. Our Dual Thread System allows for easier and faster installation than comparable spinal screws, due to a more compact size with a smaller diameter and lower profile. Dual threads and a compact screw head equals less operating time and better control. 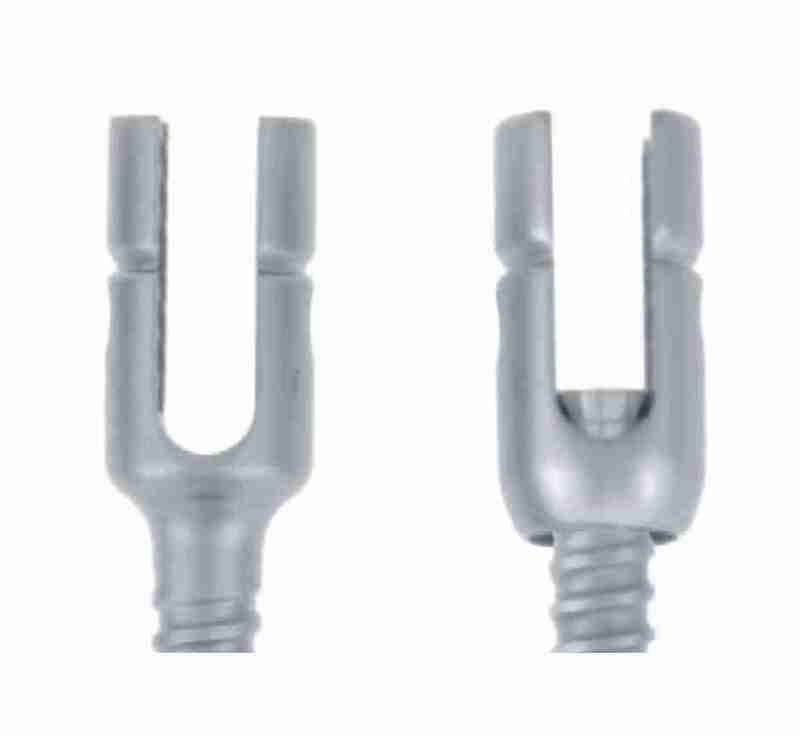 Our Dual Thread System allows for easier and faster installation than comparable spinal screws, due to a more compact size with a smaller diameter and lower profile. Dual threads and a compact screw head equals less operating time and better control.